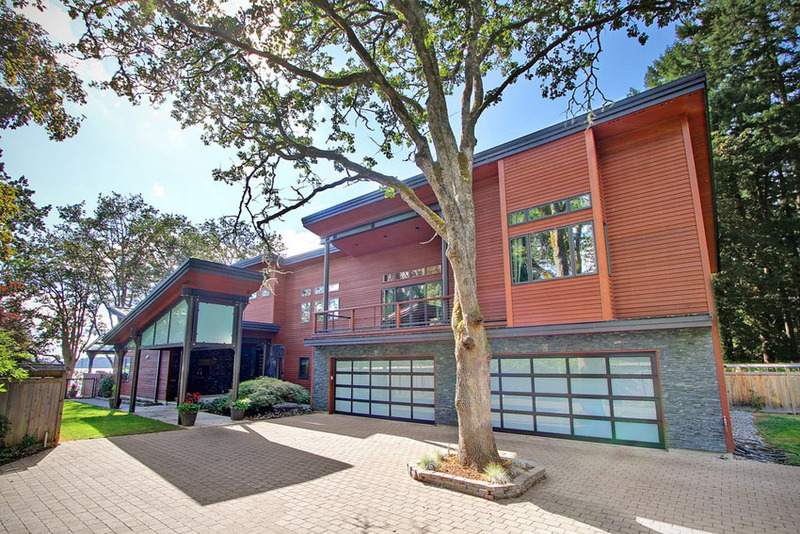 The driveway may be a part of the home’s outdoors, but it’s equally as important as any interior. 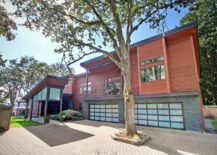 The looks of your driveway are a reflection on your entire home and normally the first impression that a house makes on its guests or those who pass by it. 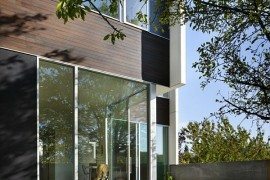 Contemporary homes can pride themselves on their clean lines, minimal style and use of neutral colors. They reflect those features in their driveways! 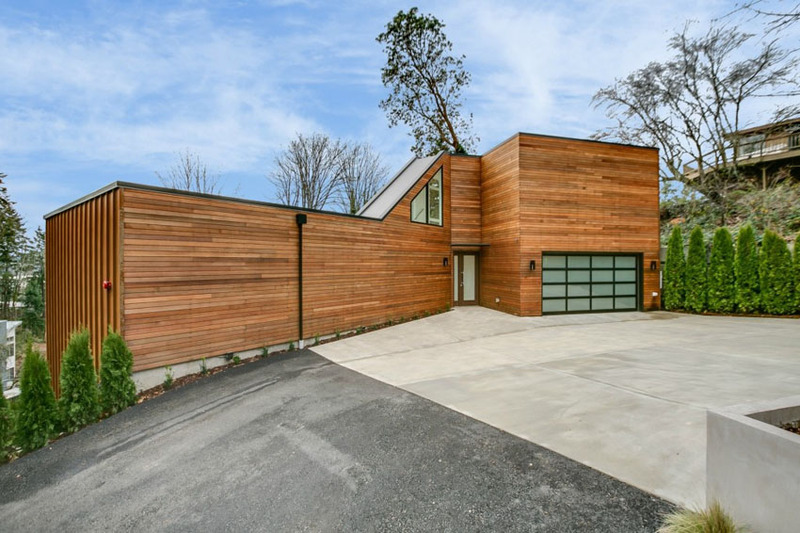 Take a look at these 30 homes that show off their top-notch modern driveway! When a driveway is empty it’s easy to see it as open, but when the cars get parked much of the spaciousness goes away. Think ahead and make sure your modern home gets a driveway it deserves – one that has an abundance of space and a sleek look! 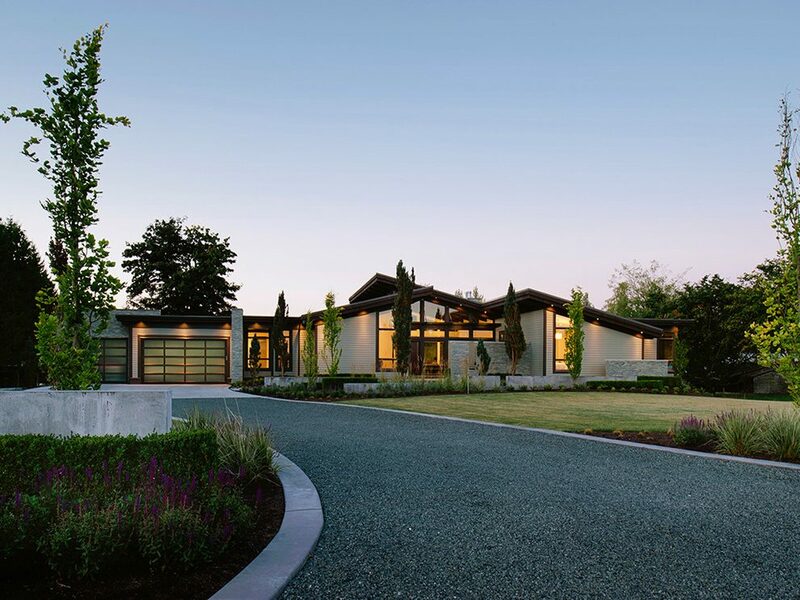 Openness and spaciousness are two of the greatest features a modern driveway can have. They create a deluxe appearance, clearly showing off plenty of room for more than just one vehicle. 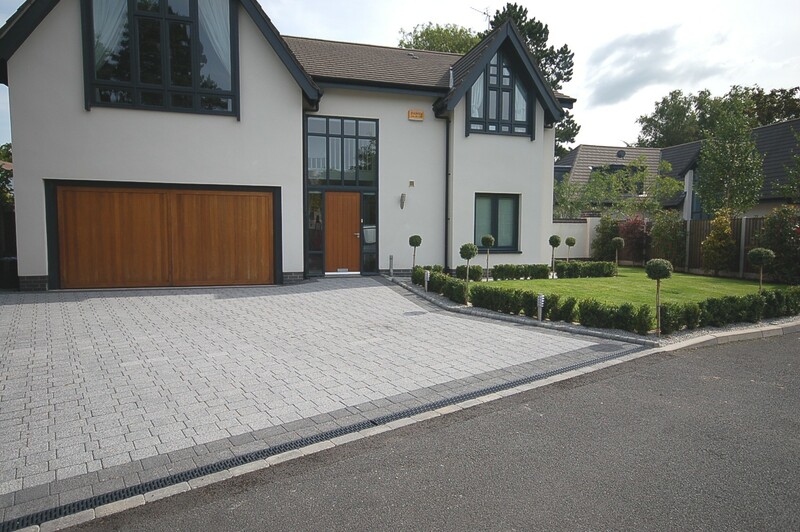 A house with an elegant exterior needs a driveway that matches that style and contributes its own charm! 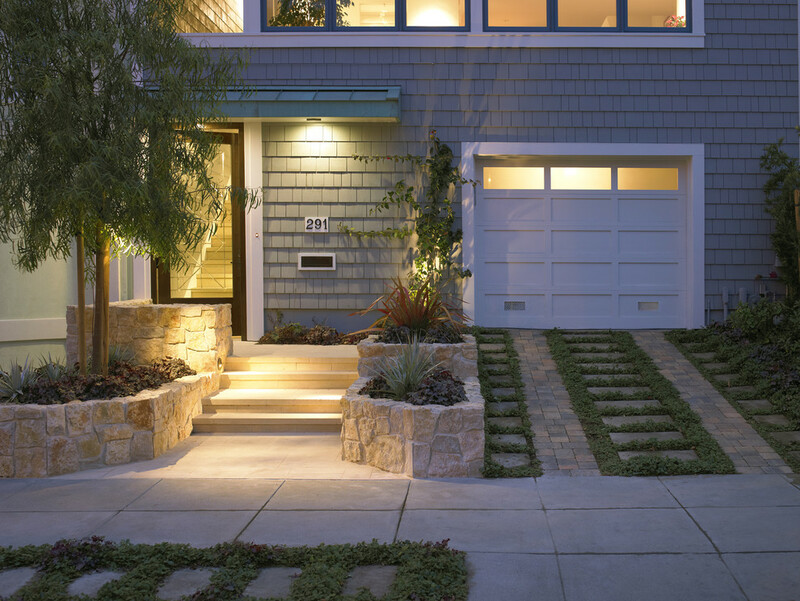 Adding greenery to the driveway doesn’t tamper with its modern look, but it does bring an organic twist to it! Neutral shades are a clear indication of contemporary decor and concrete is the best choice when we’re seeking to bring neutrals into the outdoors. 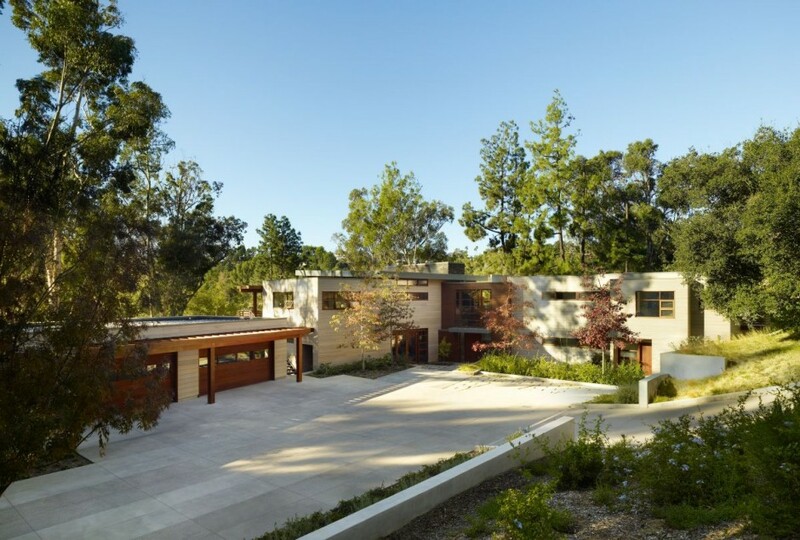 This driveway is as vast as it is gray, beautifully balanced by concrete and stone. 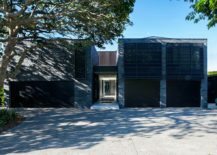 In a way, the driveway is a physical extension of a house. It extends deep into the outdoors, creating what feels like long a platform intended for your cars. It has a beautiful sleek look and can serve as a front yard as well. 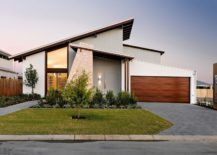 This modern driveway capitalizes on clean lines, creating a breathtaking outdoor space that feels harmonious together with the simplistic house, contrasted only by the bright green grass right next to it. This home combines the design of a cute suburban house with modern features such as tall windows and vast checkered driveway. 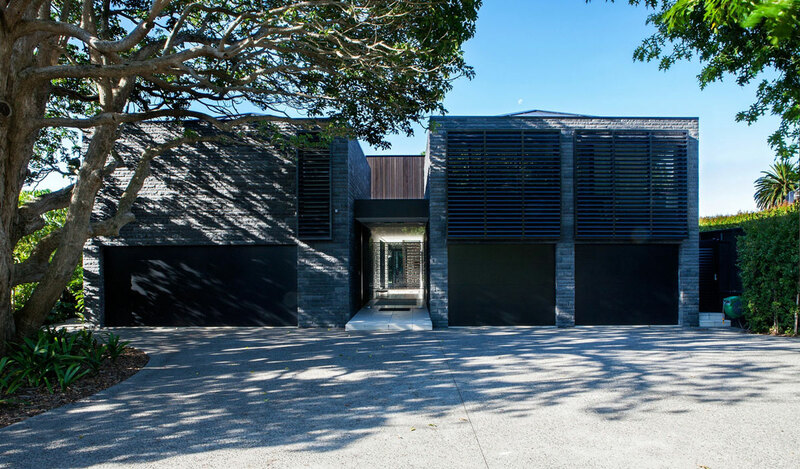 The driveway stands out with the gray look and visibly contrasts the brick built house. 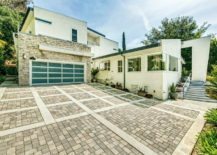 A luxurious villa best benefits from a driveway that serves several purposes at once; it doesn’t only lead into a parking garage but to a several entrances and the rest of the front yard as well! Who wouldn’t want to be welcomed by a big and bright driveway surrounded by palm trees every time they come home! 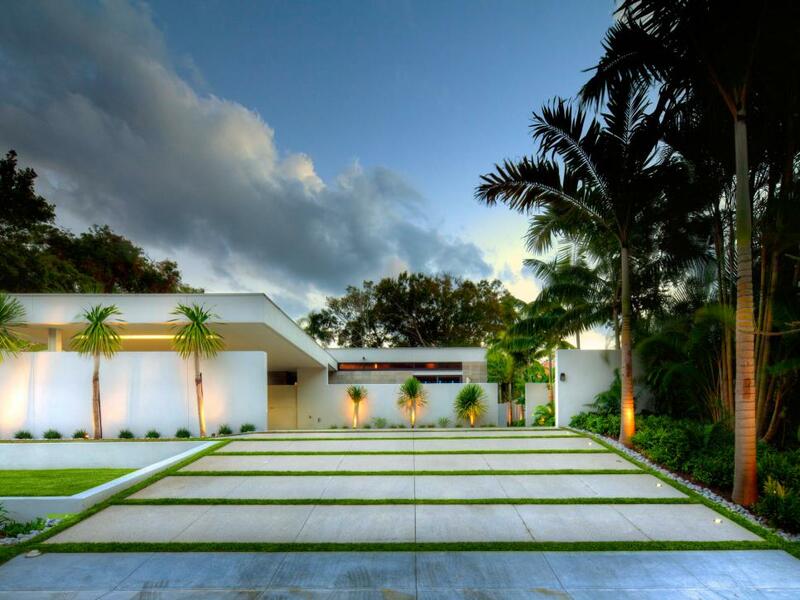 This modern driveway truly embodies paradise! A driveway is an entryway onto your property so it has a job of making a good first impression! 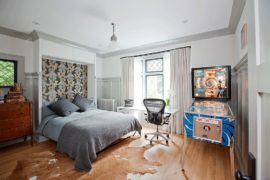 It should have a tasteful look, one that makes people feel the warmth of your hospitality! Synchronicity is very important if you are trying to create an exterior that leaves people in awe. Make sure your modern driveway sends the message of being a part of the house, of belonging to the home in a manner that can’t be ignored! 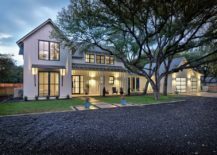 A driveway is the first impression your home makes and if you have sworn your house to modern decor, the driveway should reflect that – preferably through design ideas that feel current and fresh! Minimalism is something that never looks boring, despite the lack of decorative items. 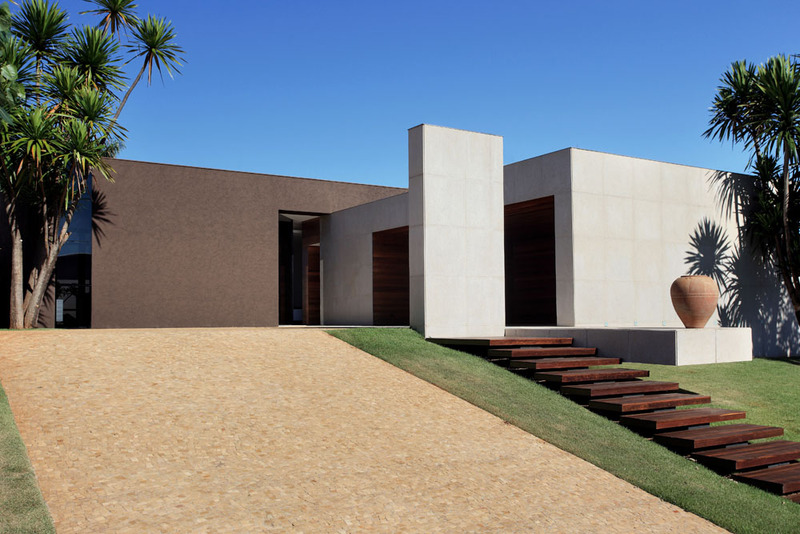 Take this minimalist driveway as an example. It has a sophisticated look that feels very welcoming and doesn’t make your eyes wander anywhere else! 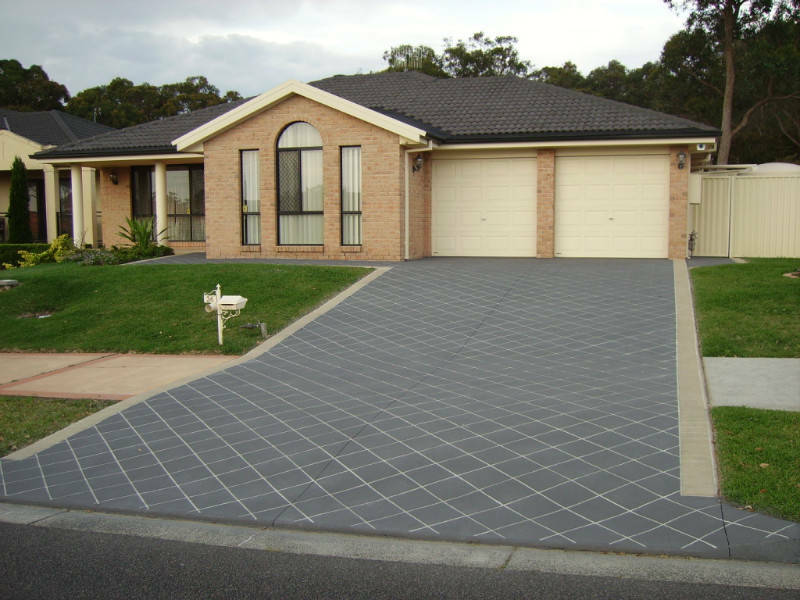 A driveway with stone pavers has a noticeable look that separates it from the concrete road. 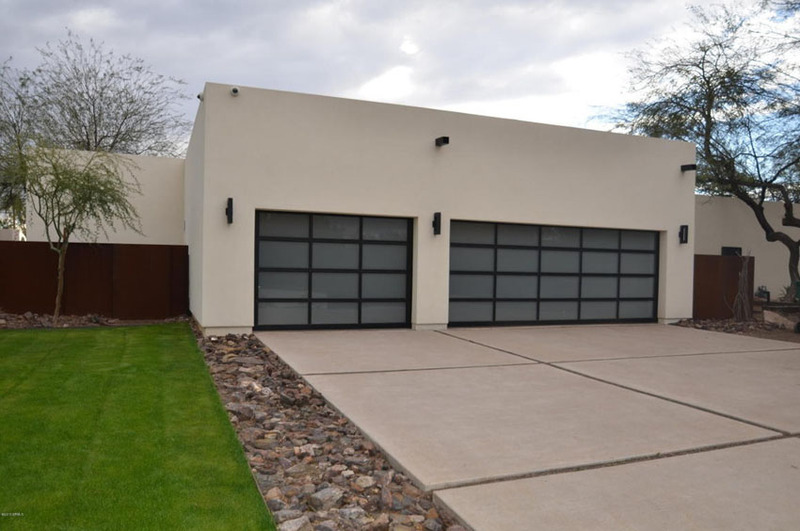 The appearance of this driveway is rather simplistic, although the copper undertones in the color palette give it a unique dynamic. 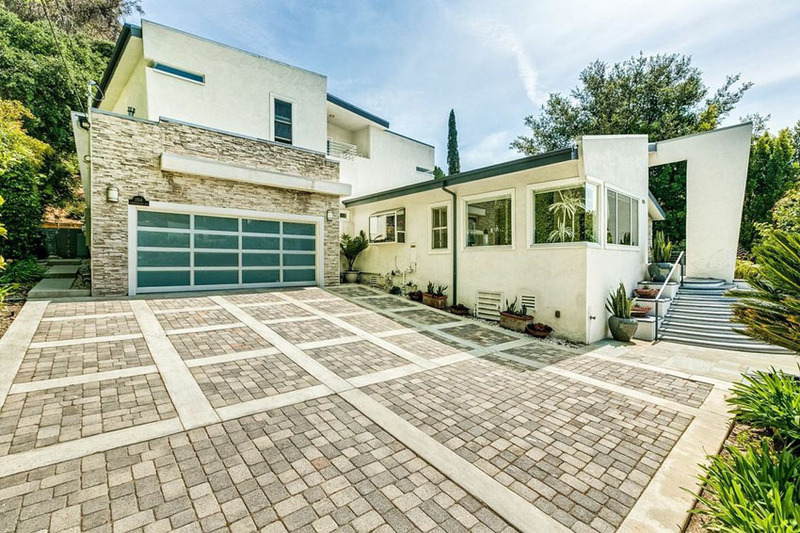 The pictured driveway belongs to none other than Kendall Jenner, so let this young homeowner show you what a beautiful addition potted plants can be to a contemporary driveway! 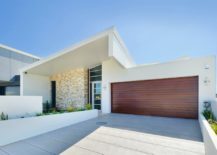 Combining two different materials within a driveway is a really smart way to assure dynamic in the outdoors, as well as balance the eye-catching look of a modern home with a wooden exterior. 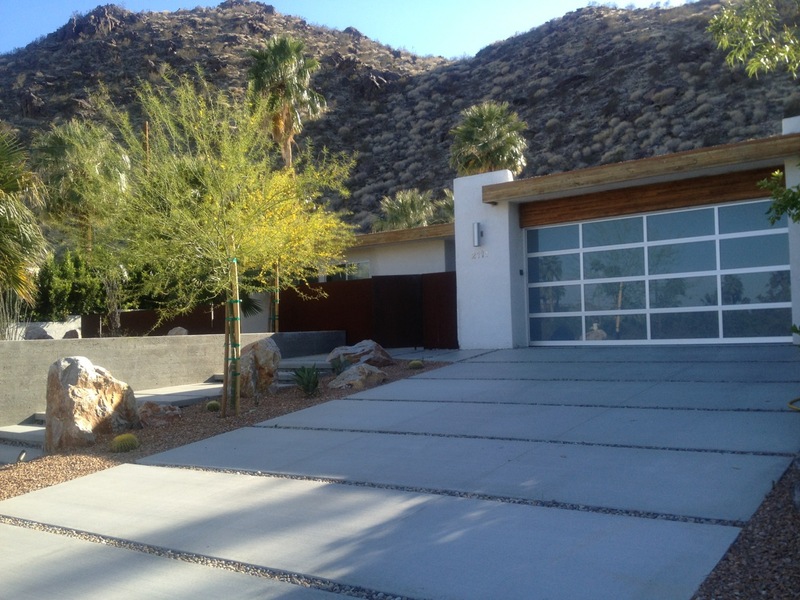 A driveway that isn’t paved and has a raw, natural look can be a great contribution to a significantly modern home. 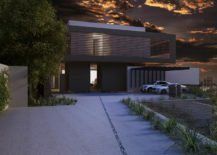 The house’s modern design will be balanced by the driveway’s natural look, creating a fresh and unique ambiance! 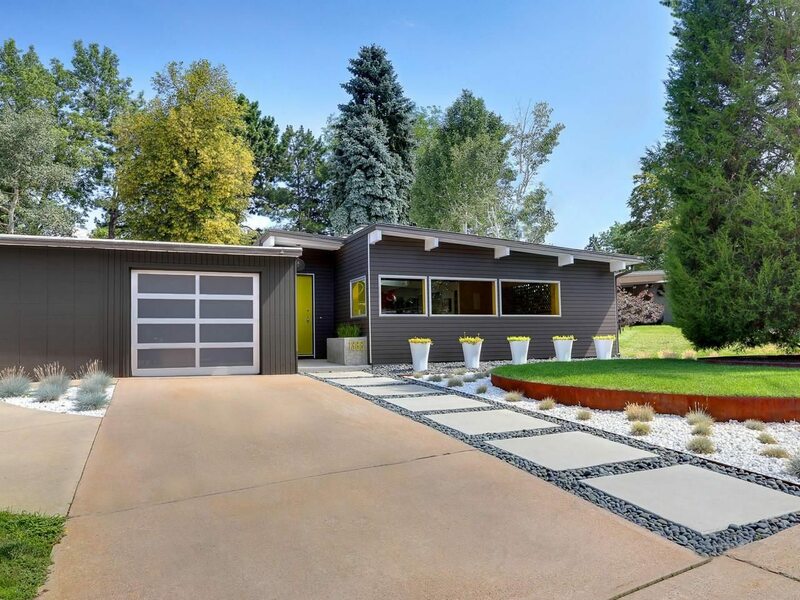 The slight gray hue of this driveway is just enough to catch your eye! It’s leading up to a white contemporary house that absolutely dominates the space, but a little neutral shade is always a welcoming feature! 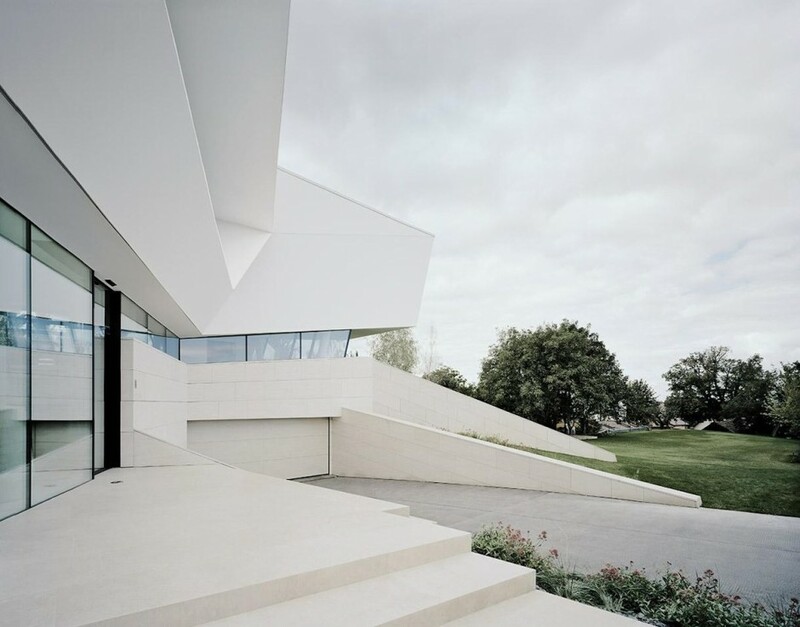 Here’s a driveway that truly represents elegance and simplicity, without seeming boring or unimportant. The pavers have a dynamic pattern but appear subtle in their diversity. 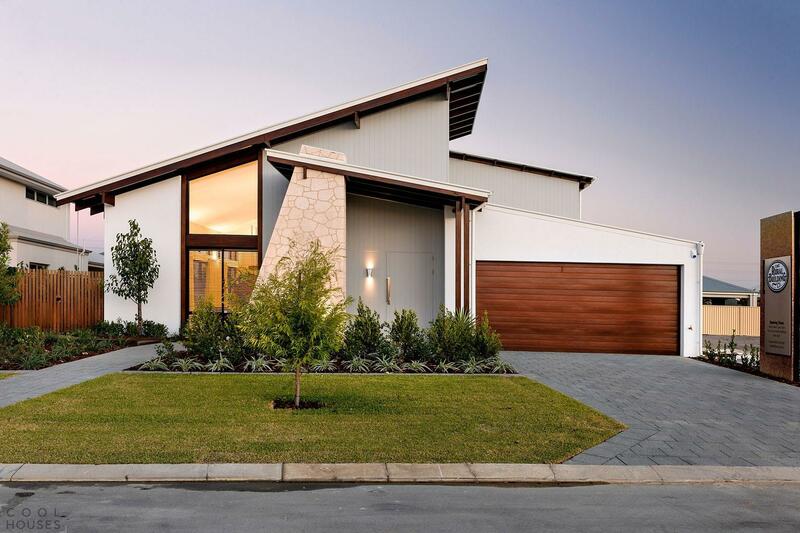 The house is the element that stands out, so this modern driveway has definitely done a great job! Sometimes the thing that gives the driveway a charming look isn’t even a part of the driveway itself. 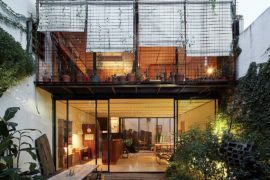 In this case, the colorful and tidy garden gives the modern driveway a component of warmth and allure that it would otherwise lack. 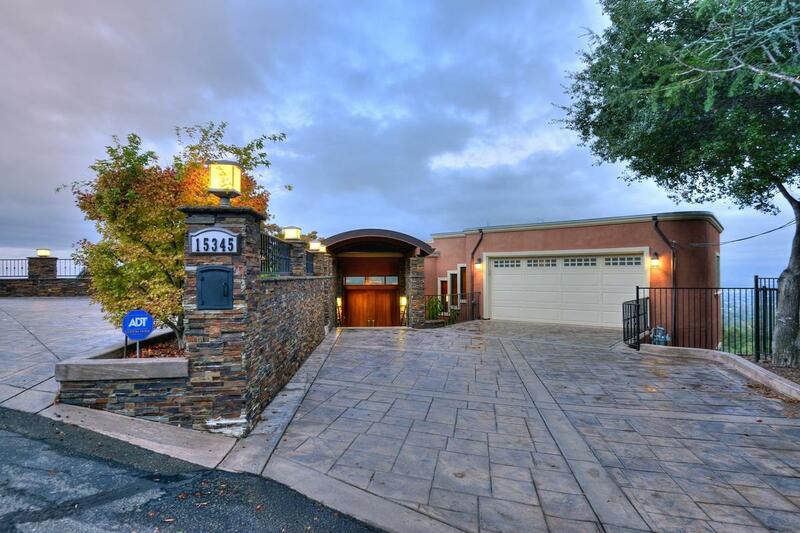 This breathtaking villa has a lot of warm tones in its exterior and it feels absolutely harmonious for the big and magnificent driveway to match those tones with its stone pavers! 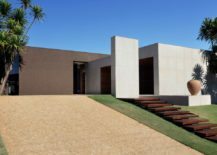 A minimalist driveway will not overshadow the modern house but will instead contribute to making it the centerpiece of the space. 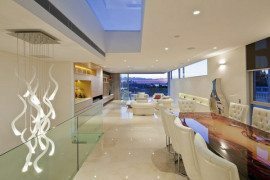 Modern homes are often decorated with simplicity in mind. 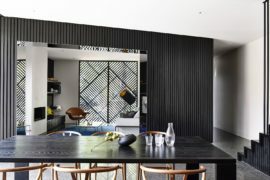 While the design may be dynamic and “outside the box”, the general decor remains minimalistic. 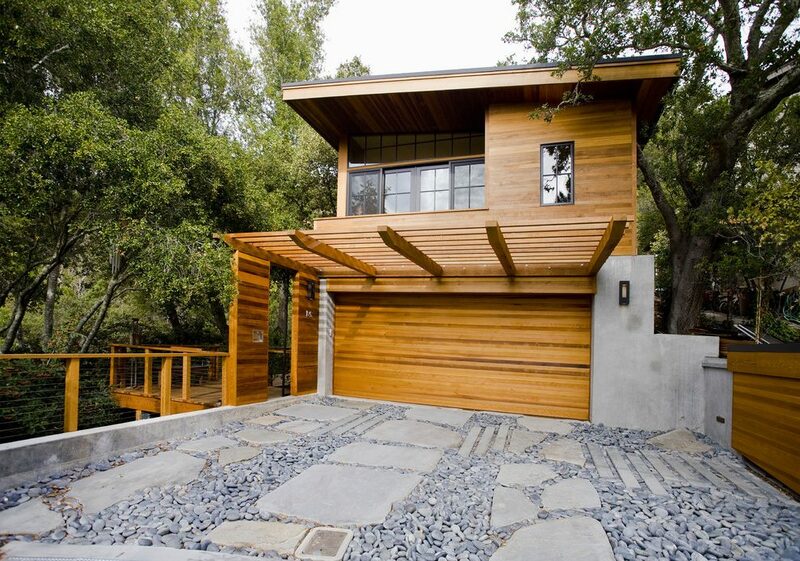 This concept is absolutely magnificent and it has made its way into the world of modern driveways as well! 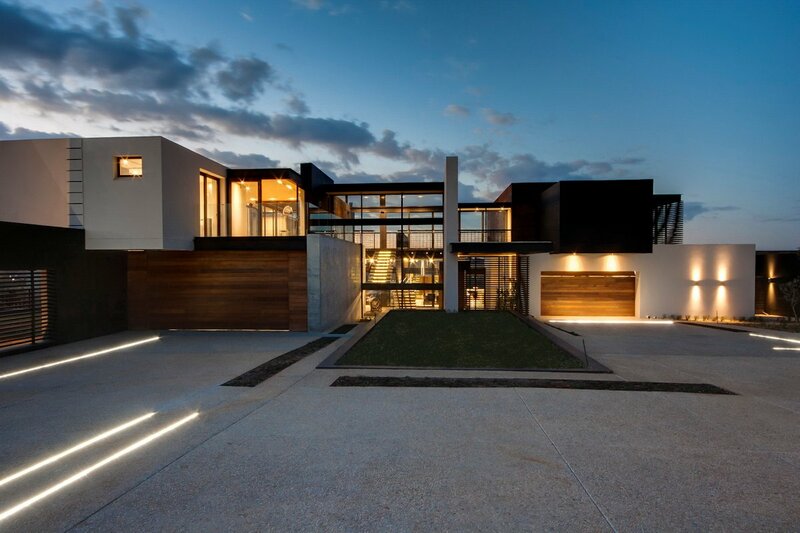 A dynamic concrete driveway with a few stripes of greenery and thin lights is a great choice for a house with an incredible modern architecture. 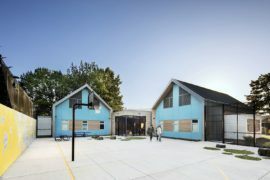 It’s wide and spacious, truly defining the space! 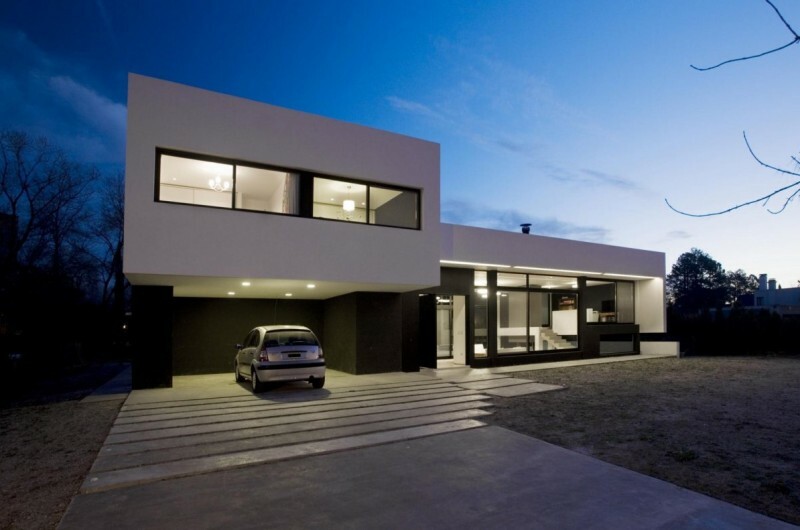 A house with a monochrome exterior requires a driveway that blends in! 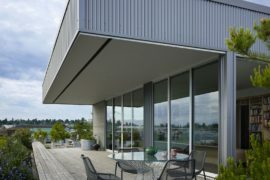 The gray concrete is a fantastic choice that brings the industrial component to the outdoors and seals the modern look! 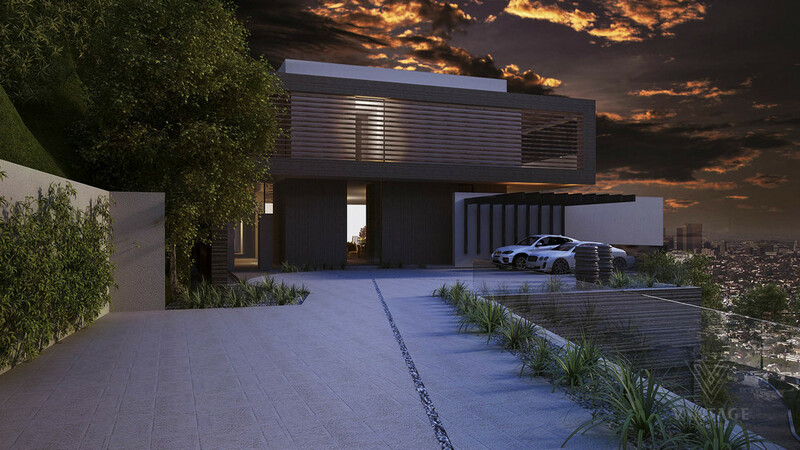 A modern wooden house that is situated in the nature calls for a driveway that embodies the nature’s charm and beauty. This driveway is truly innovative, built with stones and pebbles, marvelously adding an organic component to the wooden home. Long driveways create a special atmosphere, blessing your home with a spectacular entrance that feels like a whole experience of its own. 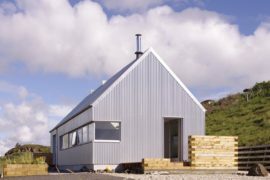 The rough look of the gravel is perfect for modern homes in rural areas. 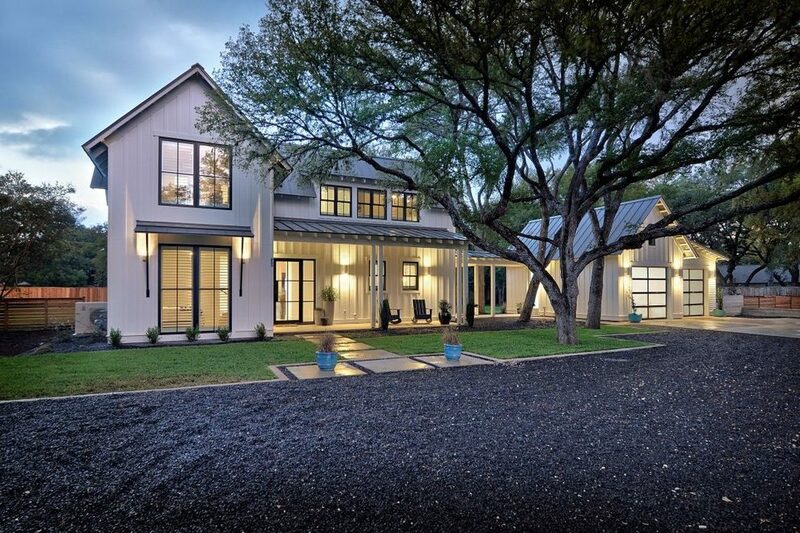 This modern farmhouse has an exterior in soft color tones and the dark gravel driveway is a great way to contrast it! 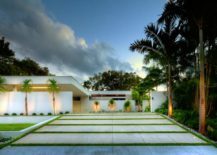 An elegant driveway with a smooth surface is ideal for a luxurious house in bright white tones that calls for clean lines and a cultivated ambiance. 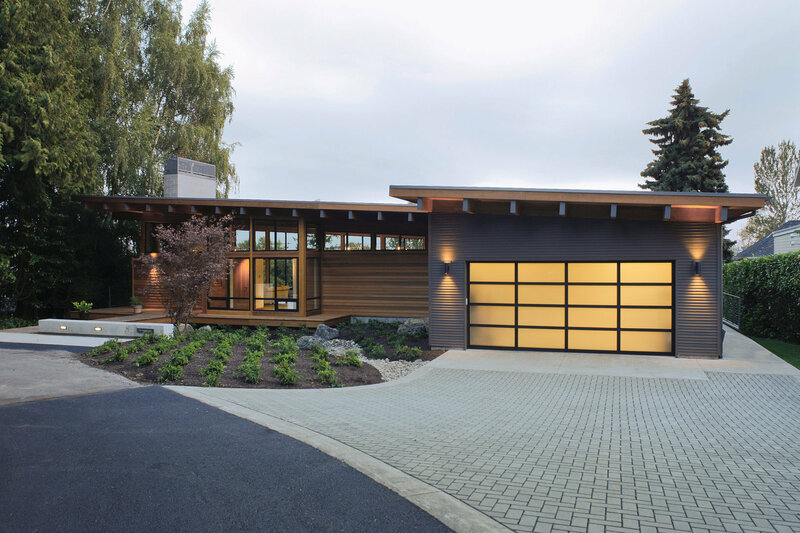 The simple driveway ends with wooden garage doors that are also the focal point of the home. 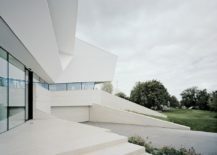 A lot of contemporary houses have incredibly dynamic exteriors, ones that capture all focus and attention. 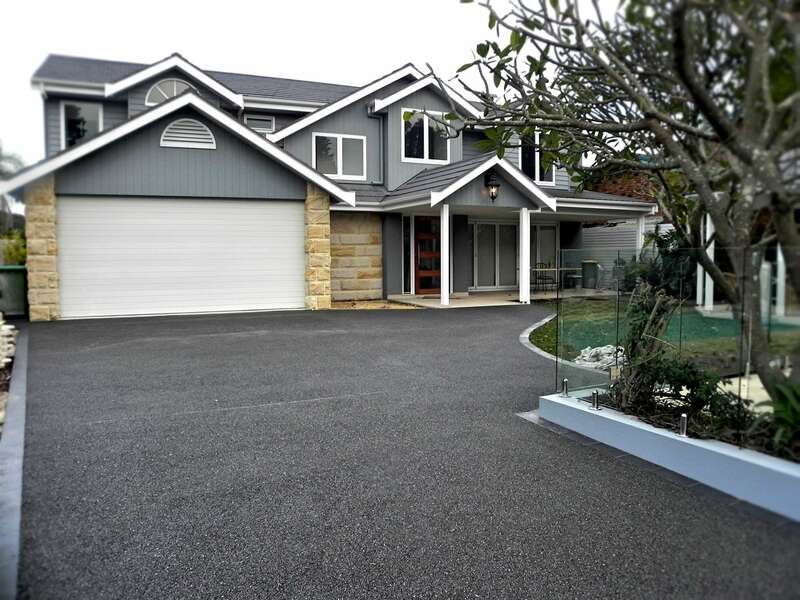 When matched with a neutral asphalt driveway the outdoor area of the home gets a balanced look! 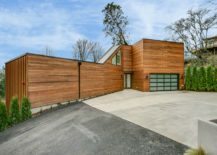 Even a modern driveway can have nature as a big part of it. It can be built around a full grown tree, benefiting from its shade for years to come! 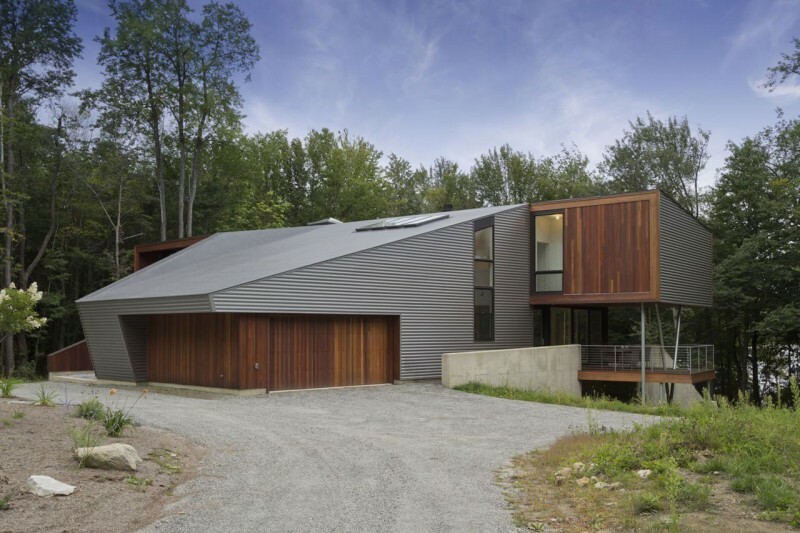 When nature meets modern, the design becomes organic and eco-conscious! 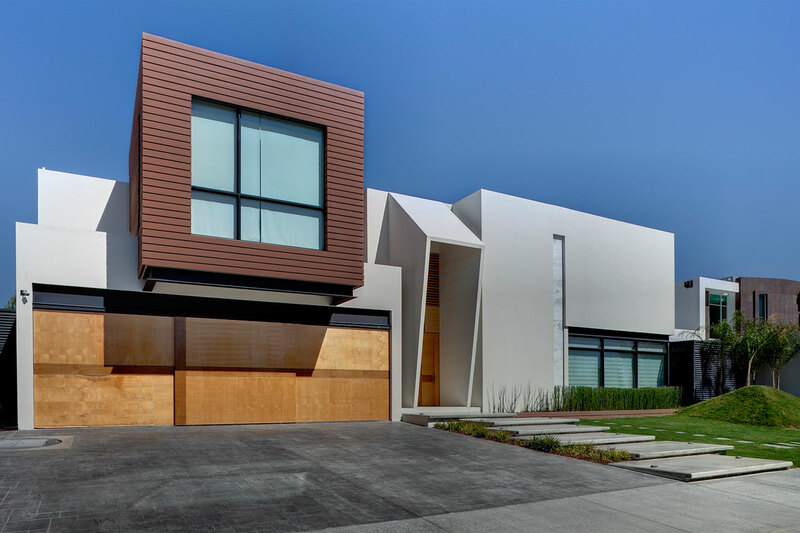 A modern gray house with a driveway that perfectly matches its color is an ideal representation of modern minimalism within suburban homes. 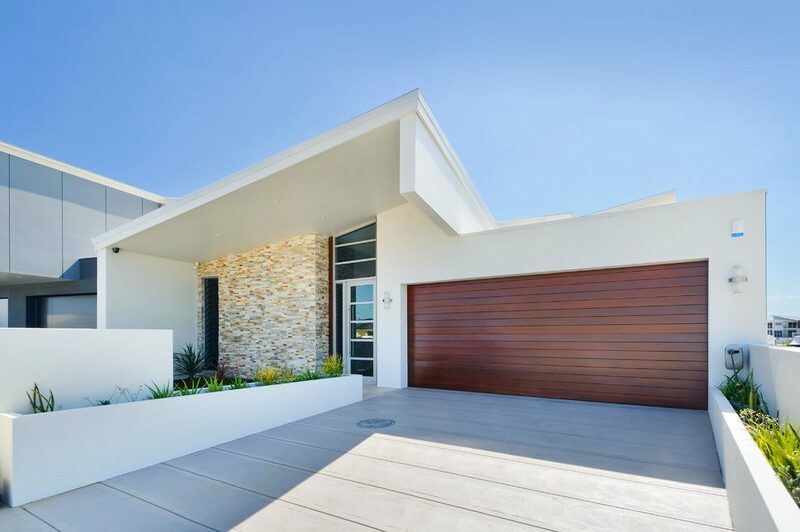 Everything about this driveways says simplicity and elegance, beautifully capturing the popular decor philosophy that praises minimalism not only indoors, but outdoors as well!